This impressive large villa with 6 bedrooms and 6 1/2 baths sits high atop the hillside overlooking Oyster Pond, Dutch St. Maarten. It is designed in a Mediterranean style elegance that can be matched by few. All 6 bedrooms have a private bathroom and air-conditioning. The master suite also offers a large rain shower. The free form swimming pool has its own swim-up bar where one can have a cool drink while enjoying the sunshine and spectacular views. La Grande Vigie also features Cable TV, a telephone and fax machine, 6 day maid service and a deluxe rating. 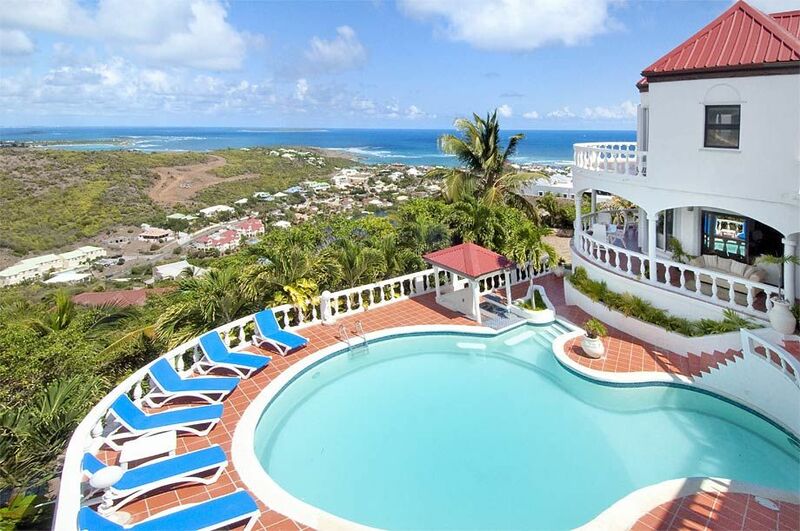 The home is located just minutes from Dawn Beach and only a 10 minute drive to Philipsburg, the Dutch side capital.